Mountain roads provide us with the best views, mountain roads are also often quieter than other roads. The downside is that mountain roads are tough. And the Albanian mountain roads have been very tough. It has given us an amazing experience this week with nice reflective opportunities cycling through the mountains. Leaving Berat we decided to choose a yellow road to cross through to Tepelene, because we had planned to go to Gjirokastra. Yellow roads usually are roads we avoid because of busy traffic, but not in Albania! 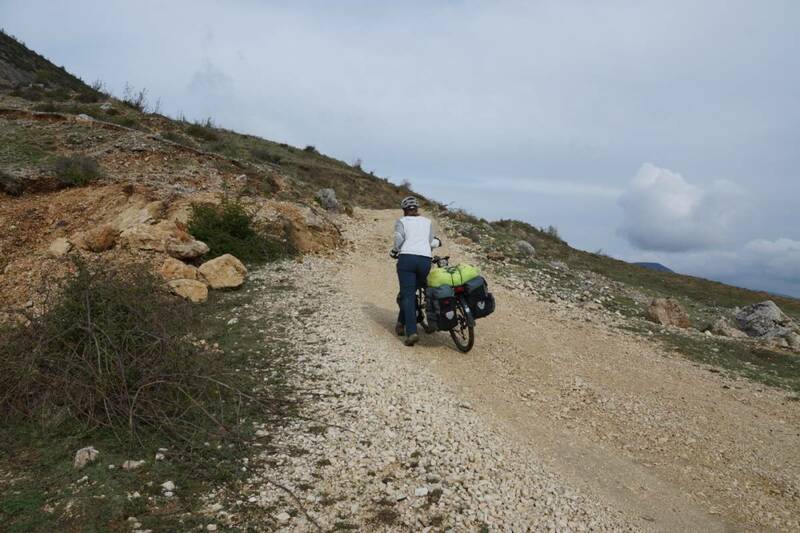 We cycled the first kilometer out of Berat and were warned immediately that the road would change into a gravel road. We were okay with that, let the adventure begin! Well we weren’t really prepared for the amount of gravel kilometers, the steep ascents and descents and the amazing views that accompanied the road. The going was amazingly tough and slow but the experience was very special. We managed to cover 32 kilometers, which is not enough in our eyes for a full day of cycling, before camping on top of a mountain in the rain. It cleared up a little bit and we had amazing views to multiple sides, it was breath taking. We made slow progress and didn’t know when the road would be better again. All of a sudden when we were in Buz the gravel turned into asphalt and we had a road again! 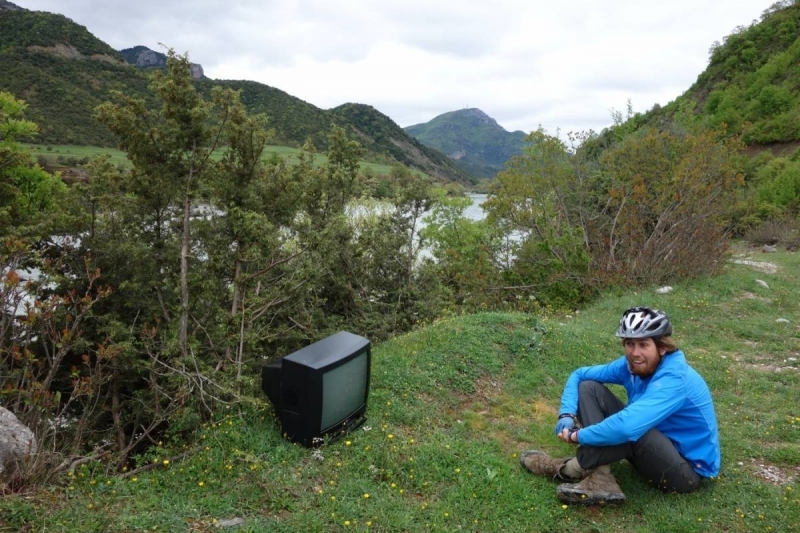 The feeling is very different 🙂 We had decided to skip Gjirokastra but still head down to Tepelene so we could cycle up the Vjosa valley which was very pretty. At some points the river was almost colored turquoise. From Permet we were back on the highway. In this case a potholed, rough road, which was quite narrow and with one car every thirty minutes. For us it was a new experience to have roads like this in a European country. The road leading all the way up to Leskovik and Erseke is really an amazing road and we would recommend it to anyone who is on a cycling trip or road trip in Albania. Look at our photos for an impression of the scenery. When cycling here the only thing to be careful with is sheep dogs. It is always good to carry some stones in a pocket just in case they come after you. Our technique is to stop and yell at the dog and if it is not impressed to pretend to throw stones. This usually works quite well. We then walk our bikes until we get out of the dogs territory and get on again. Between Leskovik and Erseke there is one of only a few Albanian campings. It is called Farma Sotira and is also an organic farm and they have bungalows as well. When we were there the campsite was not officially open yet, so we could stay for free. We did have a nice dinner in the restaurant. The showers were very nice and hot. The next day we made it up to Korce and went looking for a place to stay. We knew there was another Warmshowers host in Maliq, but thought we wouldn’t be able to make it. We cycled out of Korce and it was really hard to find a place to sleep because of the plateau and valley there. We cycled into Maliq hoping to ask about this person on Warmshowers. Before we were even into the village we came across a guy who asked how we were doing and he introduced himself as Algent from the Warmshowers community. What a coincidence! We apologized for just showing up and asked if he could help and he did help us. We could sleep in a room in the local church which was very helpful. The next morning we went to his barbershop to say goodbye. Albania has a strong reputation of being dangerous. We have never felt in danger or threatened because of wrong intentions. It really is a country that is being developed and growing continuously. The people we have come across have been very nice, welcoming and helpful. We hope they will be able to preserve the beautiful nature. By now we are in Ohrid, we had decided to have this place in Macedonia as a goal for Martin’s birthday and it worked out. 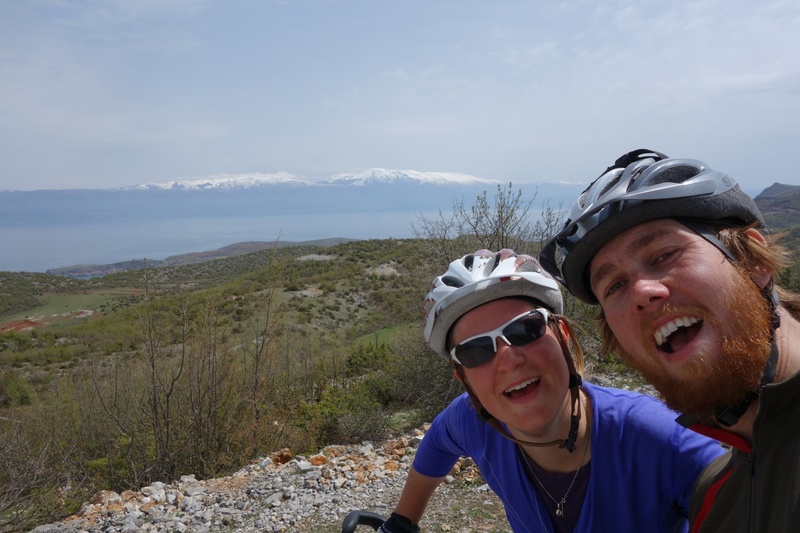 Cycling along the Ohrid lake and into Macedonia was nice although the road was in bad condition with a lot of roadworks. It is quite astonishing how different the roads are in different areas of the country. 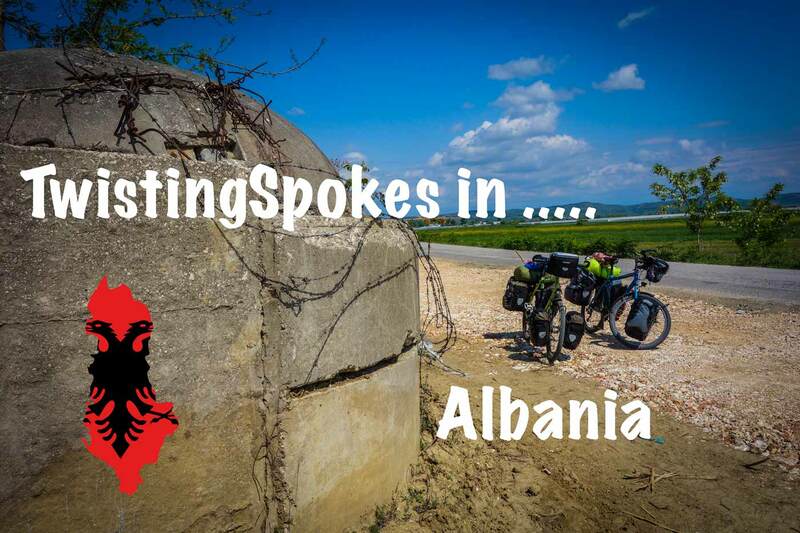 We are now contemplating if we will cycle back into Albania to head to Greece or if we will cycle to Greece immediately from here. We will keep you posted on our progress.